ABTS Convention Services Launches Wearable Bluetooth Beacon Powered By Renewable Energy. 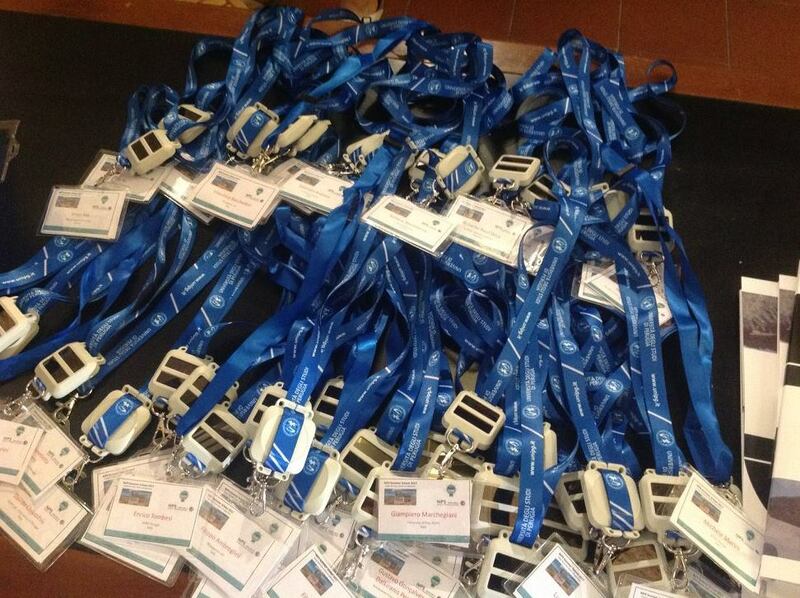 A reliable, cost-effective solution to enhance range and reliability of RFID badges for meetings and events. The BLUbadge BLE Beacon is a reliable, cost effective Attendee Tracking and Lead Retrieval solution for events and meetings. ABTS Convention Services (ABTS), a global meetings and convention services company with 22 years of experience, in conjunction with WisePower srl, is proud to announce the launch of our latest wearable beacon. BLUbadge Beacon is a Bluetooth LE (BLE) beacon powered only by clean renewable energy ... No batteries! (Patent pending). 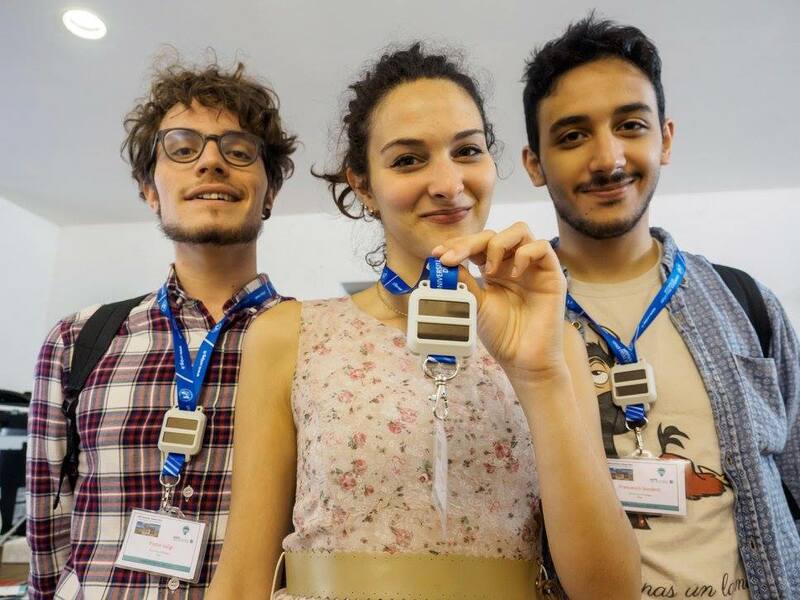 The ePower™ BLUbadge Beacon was presented at the 8th annual NiPS SUMMER SCHOOL, Gubbio Science meeting 2017, in Gubbio, Italy. The beacon was used at the meeting, providing engineers with valuable data. A significant problem with conventional passive RFID is that it requires a strong RF signal from a nearby reader device to power the tag’s chip and the subsequent transmission back to the reader. This limits the range and reliability of the tag. The BLUbadge BLE Beacon is a reliable, cost effective Attendee Tracking and Lead Retrieval solution for events and meetings. The Beacon uses 2 distinct power sources: a Vibrational Energy module to harvest energy from typical human movement and Solar cells to harvest energy from indoor lighting (very low light). The collected energy is stored in a plurality of capacitors that power the proprietary Bluetooth LE (BLE) Beacon. 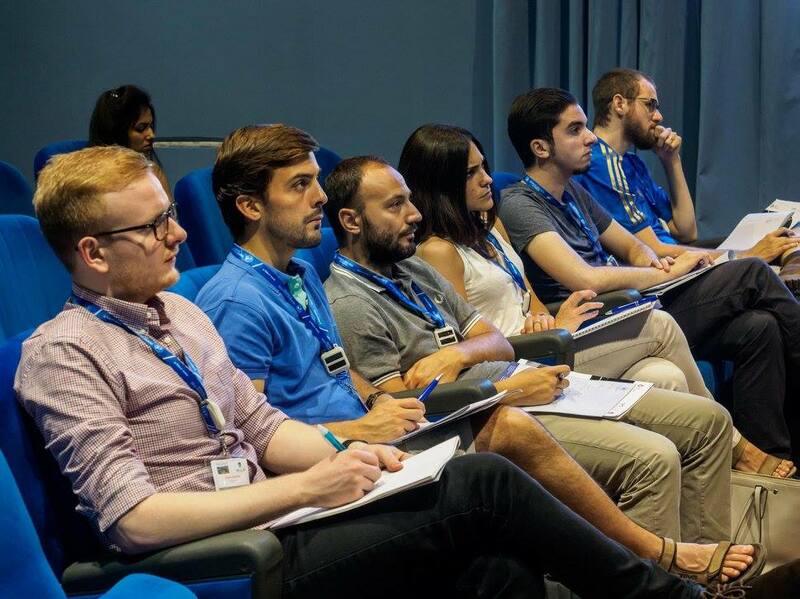 The multi-year project is a joint venture between ABTS Convention Services; NiPS Laboratory, University of Perugia, Italy; and WisePower srl - a company spun off from the University of Perugia dedicated to the design and prototyping of a new class of energy generators for mobile devices. All inquiries should be directed to Adam Graham, Executive Vice President of Information Technology at ABTS Convention Services at agraham@abtscs.com.